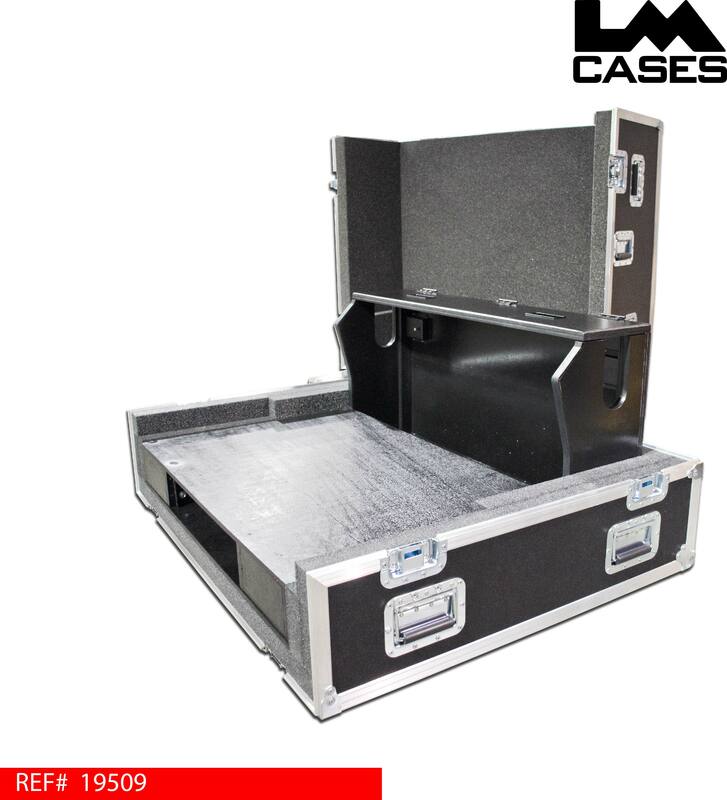 This case was designed for KM Productions NY. 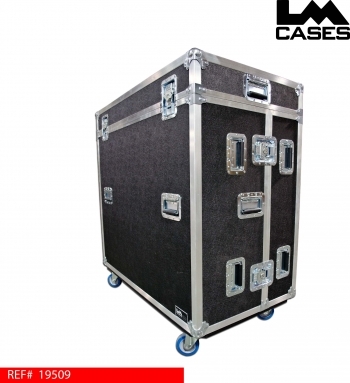 The case features a removable front and top lid, allowing easy access to the front of the console during a show. 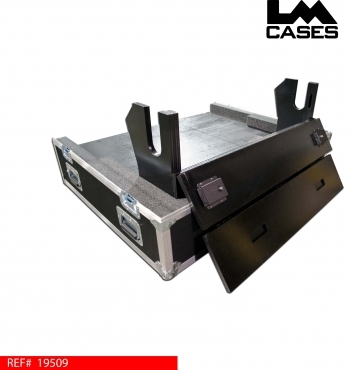 The bottom tray features a 2 rack space section for a drawer and or keyboard shelf. The interior case also features a custom 3/4" Birch doghouse that contours the rear profile of the console. The doghouse features a double hinged top which allows the top cover to fold completely back for easy access. This doghouse also has a hinged back panel allowing the entire back and top of the doghouse to fold open. The case exterior is built out of 3/8" plywood laminated with black abs plastic and features 4" Colson casters and recessed hardware. Special thanks to KM Productions NY!